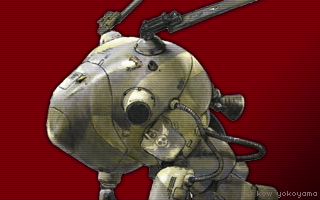 Who created Maschinen Krieger: Kow Y_________? You agree, through your use of this forum, that you will not post any material which is false, defamatory, inaccurate, abusive, vulgar, hateful, harassing, obscene, profane, sexually oriented, threatening, invasive of a person's privacy, adult material, or otherwise in violation of any International or United States Federal law. You also agree not to post any copyrighted material unless you own the copyright or you have written consent from the owner of the copyrighted material. You also agree not to conduct any illegal activities through the use of this forum, and consent to the owner or forum staff monitoring communications at any time. Spam, flooding, advertisements, chain letters, pyramid schemes, and solicitations are also forbidden on this forum.